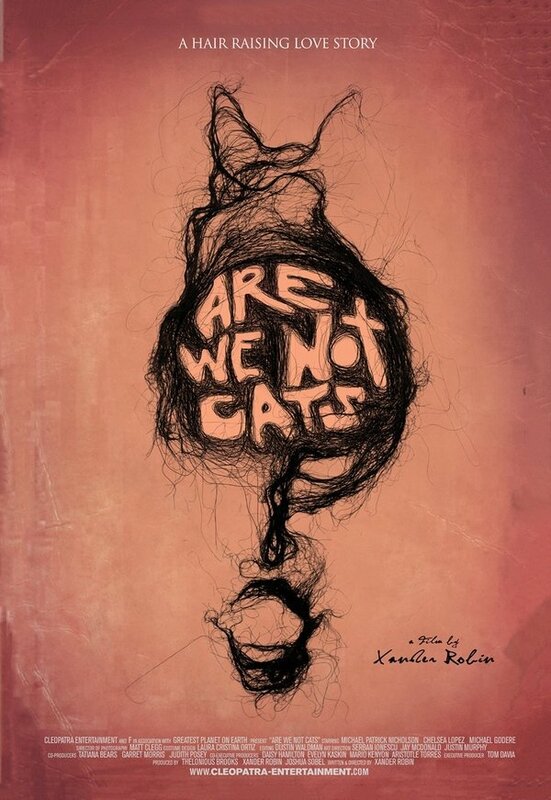 Cleopatra Entertainment has released the first trailer, poster and photo for Are We Not Cats, the film festival favorite that was written and directed by Xander Robin, which stars Michael Patrick Nicholson, Chelsea Lopez, Michael Godere, Charles Gould and Adeline Thery. The film has been honored with 3 festival awards this year, including the Jury Award at Arizona Underground Film Festival, Best Feature Film at Imagine Film Festival in Amsterdam, and Best Narrative at Sidewalk Film Festival in Birmingham. But despite all that, be warned, there is some subject matter here that may turn your stomach. Are We Not Cats tells the story of a young man attempting to restart his life after losing his job, girlfriend, and apartment in a single day. His plans are diverted when he meets a woman who shares his strangest habit, the impulse to pull out and eat their own hair. 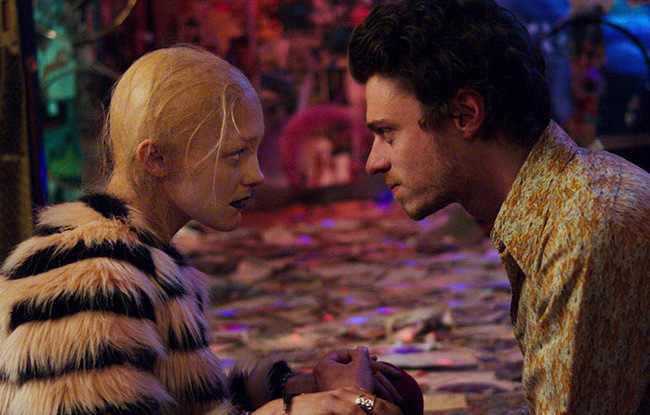 Xander Robin’s genre defying feature directorial debut flings the audience on a rollercoaster ride of emotions, lovingly balanced by two vulnerable actors, a pulsating soundtrack and gritty, colorful cinematography. Cleopatra picked up the distribution rights to Are We Not Cats last week, which premieres in select theaters on February 23rd. Are We Not Cats will be also be released on VOD platforms February 27th, followed by a DVD release date of March 13th. The deal was brokered by Cleopatra Founder and CEO Brian Perera, Tim Yasui, VP/GM of Cleopatra Entertainment, and by Strath, Marcy and Daisy Hamilton from TriCoast Worldwide on behalf of the filmmakers. The movie will be going up against Paramount’s Annihilation, Warner Bros.’ Game Night and Orion Pictures’ Every Day on February 23. While this film may mark Xavier Robin’s feature directing debut, he’s seemingly worked in every facet of the movie industry on a variety of short films and features. This film is based on his own 2013 short film of the same name, which he wrote, directed, edited and produced. He has served as an editor on a number of short films, and the digital series Making a Scene With James Franco, while working as a camera operator, best boy, gaffer, key grip, assistant camera, cinematographer, assistant editor, sound editor, script supervisor and assistant director on a wide variety of short films throughout the years. While this low-budget indie may not boast any stars or household names, this critically-acclaimed film could very well find an audience through its limited theatrical release and nationwide VOD rollout. It remains to be seen if any more footage will be released between now and the February 23 release date. Until then, take a look at the trailer below, couresy of Cleopatra Films YouTube, along with the new poster and photo.